A110-1 PRIM STUDENT TGL NOT PMTD. A110-10 RY 05R/23L & RY 14/32 HAVE 200 FT BLAST PADS BOTH ENDS. RY 5L/23R HAS 400 FT BLAST PAD AT BOTH ENDS. A110-11 TWY V IS NOT AVBL FOR ACR OPNS. A110-3 LARGE FLOCKS OF BIRDS ON & INVOF ARPT. 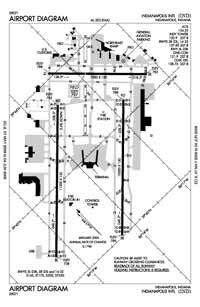 A110-4 NOISE ABATEMENT PROCEDURES IN EFFECT CTC ARPT MANAGEMENT ON 317-487-9594. 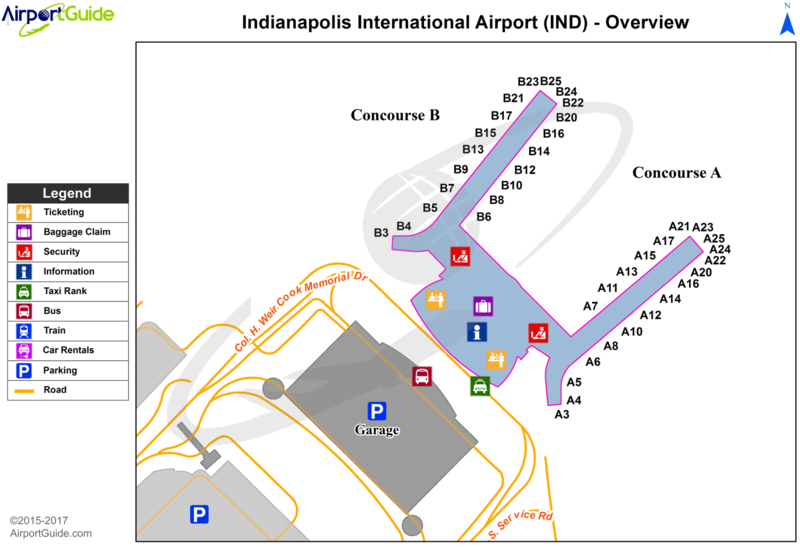 A110-7 BE ALERT TO CLOSE PROXIMITY OF RY 14/32 TO NORTHEAST RAMP. A110-8 TWY 'H' RUNS CONTIGUOUS AT NORTHEAST RAMP. A43-14 UNUSBL BYD 8 DEG RGT OF COURSE. A43-32 VGSI AND ILS GLIDEPATH NOT COINCIDENT. Single Wheel Landing Gear: 145. Dual Wheel Landing Gear: 300.